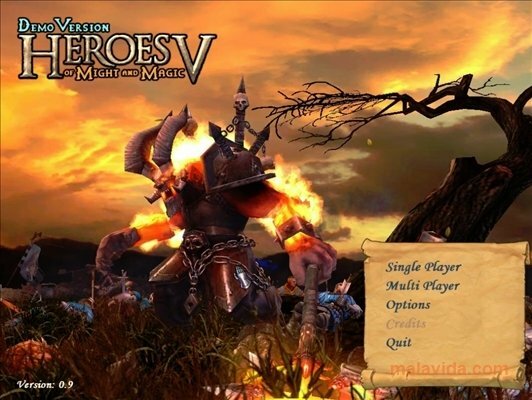 Heroes of Might and Magic V is a turn-based strategy game based on the Might and Magic fantasy universe. 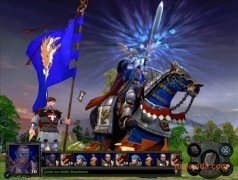 And as any good game of the genre you will be able to find knights, wizards, and all kinds of medieval weapons and objects that will help you to build a more powerful army. 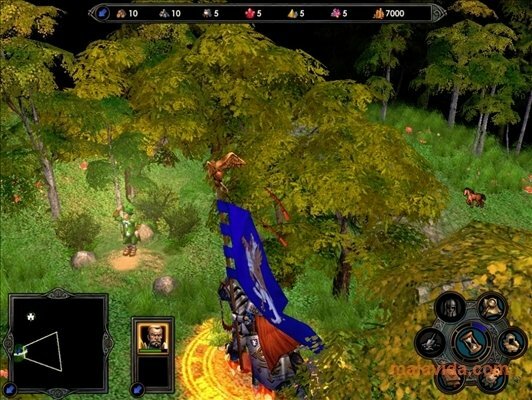 This is the fifth instalment of the famous saga started in 1995, as a spin-off of Might and Magic, and became an instant success due to how they managed to combine role-playing elements with turn-based strategy. 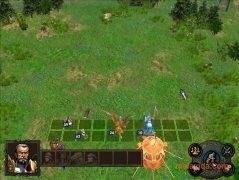 The real characters of the game are the heroes that, together with a large amount of creatures, form the army that you will have to control. 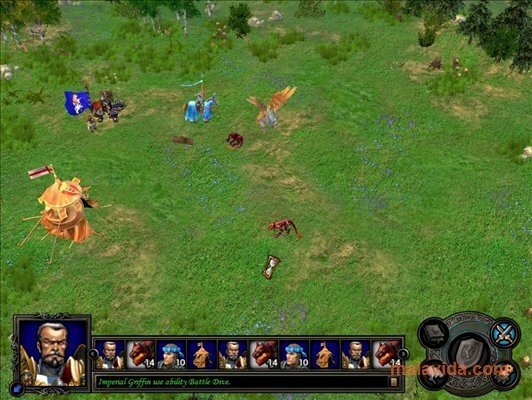 Heroes of Might and Magic V has a playability that is similar to the third instalment, in which the heroes don't act directly in the battle, but can launch spells. 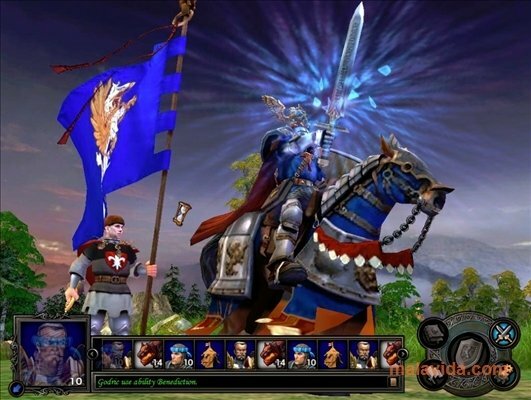 The game's graphics include totally 3D environments with very good animations. 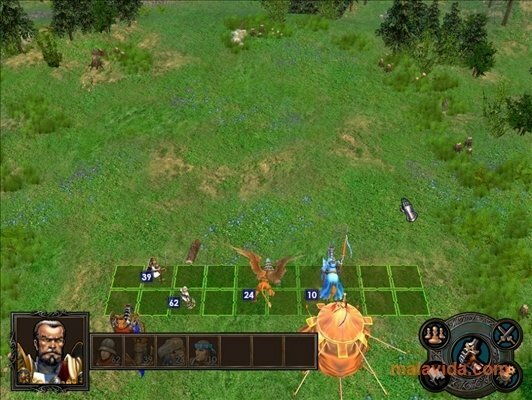 Depending on the moment of the game you will have one of two views, thus you will be able to freely explore maps and the classic grid that you will find for the combats. The story, as always in these cases, starts with the attack on King Nicolai the day of his wedding, that ends up totally changing him. After that, Isabel (the bride to be) decides to create an army with the help of the Elves and the Wizards with which to save her beloved. Thus, in the battles you will be able to use one or various of the six factions: Humans of the Holy Griffin Empire (Haven), Demons of Sheog (Inferno), Sylvan Elves from Irolan (Sylvan), the Dark Elves from Igchal (Dungeon), the Mages (Academy) and the Undead (Necropolis). The demo allows to play three missions (two from the campaing and one customized), use two races and play size two player PvsP online player.